Or you have a page full of makeup and beauty tutorials, and you need followers who are interested in beauty contents. But It’s too hard to attract all of your followers from these kinds. Or maybe you are running a fan page for a celebrity or an actor, and you want the other fans to find out about your page, but you have no idea where to start and how to find them. What if I told you there is an option for this? Fortunately, Instazood has thought it through. This Instagram bot have this option called targets! For example, if I have a fitness page, I will set my targets on ‘’fitness’’, ‘’health’’,‘’weightloss’’,‘’weight gain’’ etc. to gain real followers who are interested in these contents. This will also affect your engagement rate, and even better, It’s great for business cause your followers are all interested in your niche! 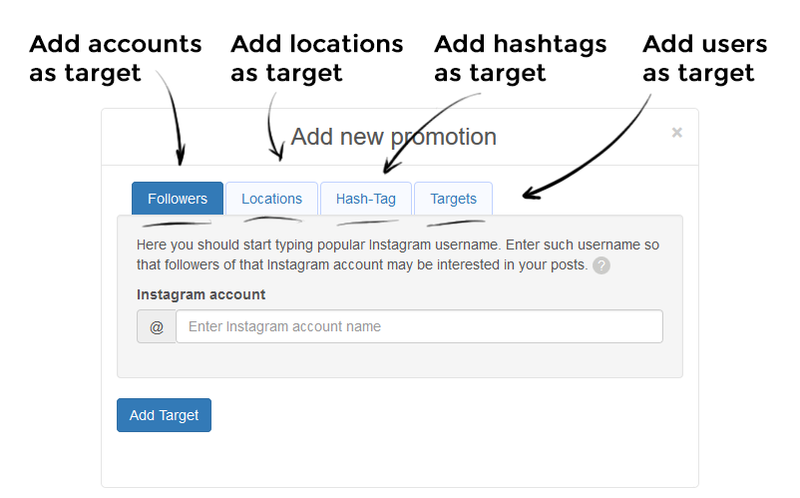 To get your real followers on Instagram using Instazood, First, you have to add a target in the instazood dashboard, and after that, you have to manage them. Instazood recommended using three to eight targets at the beginning. But don’t worry you can add more after a while. But you should have this in your mind that if you don’t add any targets, Instazood won’t do any functions (automatic follows, likes or comments). If you have less than 700 followers, you should turn off the follow and comments sections on each target until you reach to over 700 followers. It is all explained on How to manage your targets on Instazood. You should choose the type of your targets. 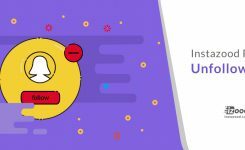 Pages: you can target an Instagram page as a new target to your Instazood system, this way the bot will interact with followers, likers, and commenters of that Instagram page, so try choosing a page related to your content. Hashtags: This is so useful cause you can choose a target for your bot to gain your followers from the people who are interested in these hashtags. You can add hashtags that are popular and related to your niche. Locations: You can target a location to get followers from the users who added that location on their posts or are interested in the posts about that location, this way you can get clients who are living near you or from a specific city that you want to work on. After choosing targets, you might want to find out about their success rate to see if they are working for you or not. To replace them with more functioning one. There is another great option that will show you the stats of your target’s success rate (conversion). And this is the way you can manage your targets. 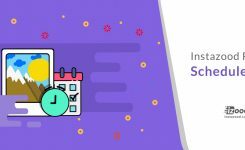 For achieving the best possible result, you can check for their conversion rate; If it’s less than 10% after 24 hours of using, you should delete it and replace it with more successful targets. And the activity status of your target and you can pause or delete it whenever you like. So to have the best engagement on your Instagram account, try to choose your targets wisely and manage them frequently. Note! 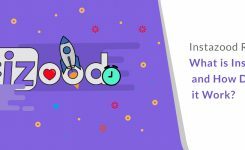 When you add your first target, Instazood starts to work automatically in maximum 20 minutes.